Volvo S60 Polestar is the base petrol variant in the S60 lineup and is priced at Rs. 56.02 lakh (ex-showroom, Delhi). This base variant comes with an engine putting out 367bhp and 470Nm@2100-4500rpm of max power and max torque respectively. The gasoline motor comes mated to 8 Speed Automatic transmission which is quite a joy to use. Volvo claims an average of 19.6 kmpl for this base Polestar variant. Share your experiences with S60? Q. 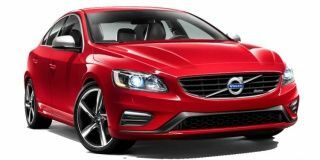 Does the Volvo S60 have a good resale value? We can't give any verdict here as the resale value of a car depends on various factors such as a car's physical condition, kilometres were driven, a number of owners model year etc. Volvo enters the revered performance luxury sedan arena with the all-new S60 Polestar. What's it got? Volvo's hottest car in India is now supercharged and turbocharged, comes with a new gearbox, and munches miles rather quickly. But is it fun and is it for the enthusiast?